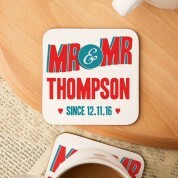 A novelty gift idea for a Mr & Mr who have just married, or a couple celebrating an anniversary. 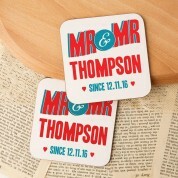 They will love to show off the stylish, coaster set when entertaining guests. 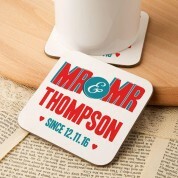 The simple design reads “Mr & Mr” followed by the couples surname. Their special date is also included, making it truly unique to them. (This can either be the wedding date, or current anniversary year). The strong design stands out, with a pop of bright red and blue. Love hearts complete the design. 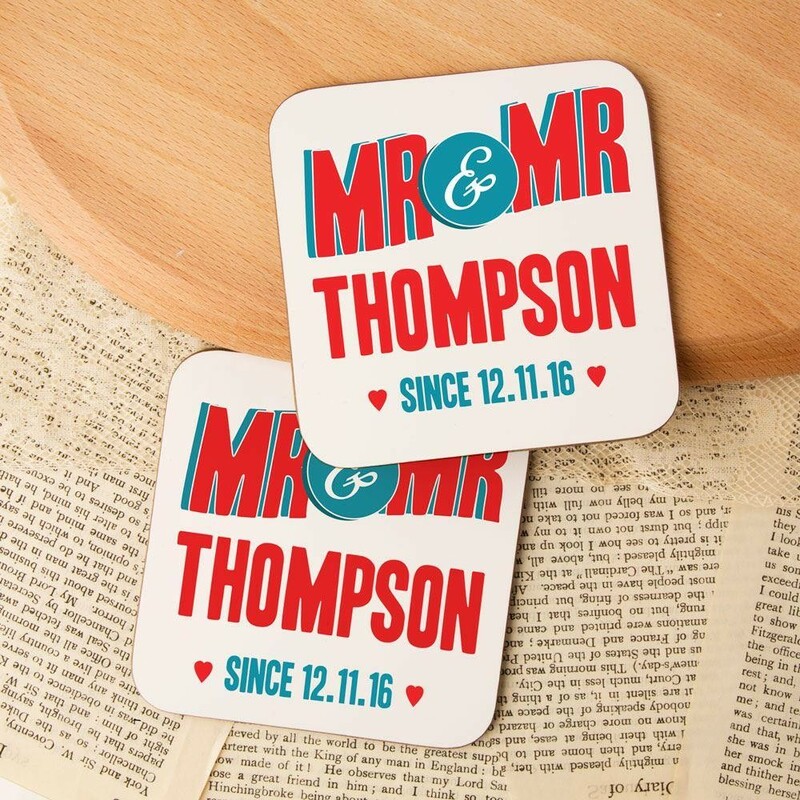 The couple will have to smile whenever they see their coasters and will be proud to show them off when entertaining guests. They are sure to be a conversation starter and will add a pop of colour to any table top! Dimensions: approx. 9cm x 9cm.